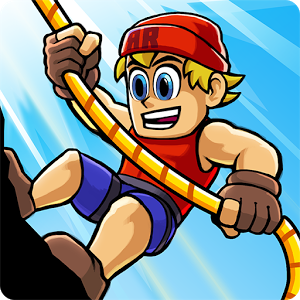 You've played endless runners, but have you played one that goes up and down instead of left to right? 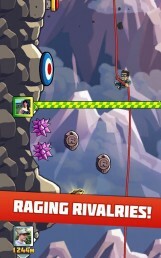 Granted, this is not the most innovative idea for a game, but Halfbrick makes some polished stuff. 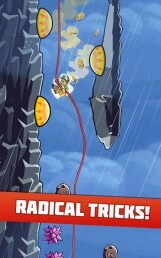 In Radical Rappelling you have to get down from a mountain without running into anything. A simple enough proposition, but easier said than done. There's only one movement control in Radical Rappelling—press and hold to rappel. 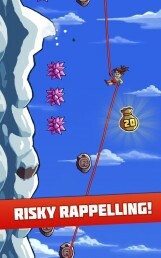 Pressing and holding at the right time ensures that you'll jump over the obstacles that would otherwise end your run. 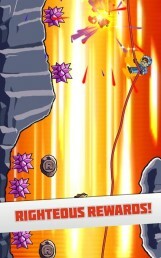 And of course there are plenty of power ups and stat boosts you can unlock along the way. This is a free-to-play game, and you know what that means. 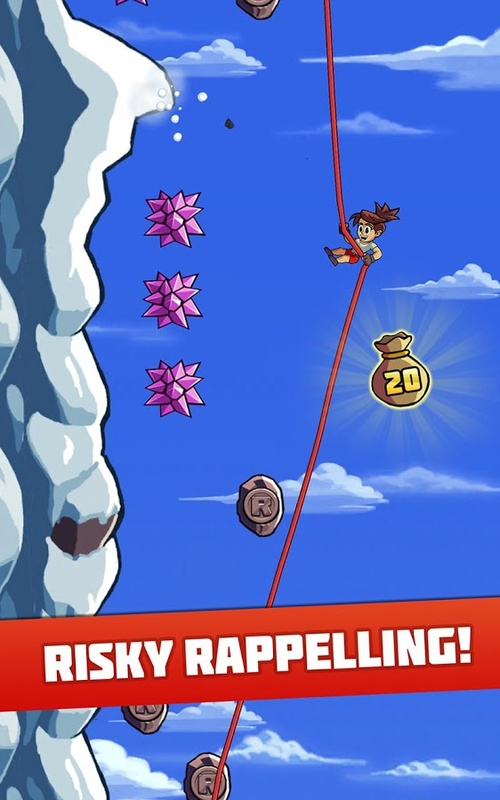 Yep, in-app purchases and dual currencies. 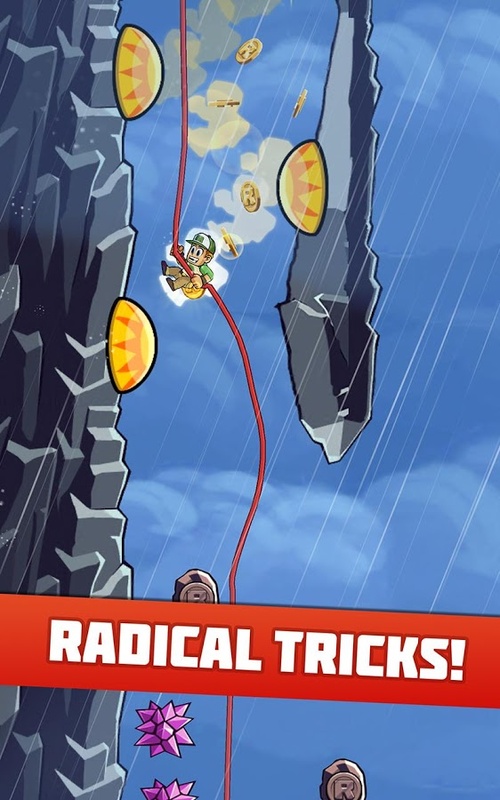 You could probably blow a lot of money on Radical Rappelling, but Halfbrick has always been reasonable with IAPs in the past. Just use your best judgement.